We aim to write a comprehensive review for every major Bitcoin casino, but we haven't got to BetMoose yet. Check back soon and we'll let you know whether we like this casino, and share any winning strategies with you. TheBitcoinStrip understands that BetMoose does not use a provably fair mechanism. Provably fair casinos offer solid player protection over standard casinos as the player can verify that every bet outcome is legitimate. You can learn more about provable fairness here. 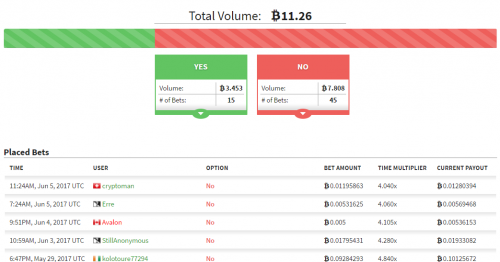 BetMoose does not offer a Bitcoin faucet to their players. BetMoose only offers deposits in Bitcoin. Players who wish to deposit in anything but Bitcoin should look elsewhere! The most you can win on BetMoose in any bet is yet to be determined. This is usually an indicator of how well the casino is funded. Poor casinos can't afford to process big bets, while the successful ones can without hesitation. Strongly funded casinos generally have a stronger reputation than the newbies. BetMoose does not currently offer any Bitcoin bonuses to its players!